BioStrata has announced a slew of recruits to support its strategy to develop specialist services in PR and inbound marketing. The life sciences comms agency has appointed Caroline Chambers, who has a strong life-science background and spent five years in clinical veterinary practice, as a science writer. 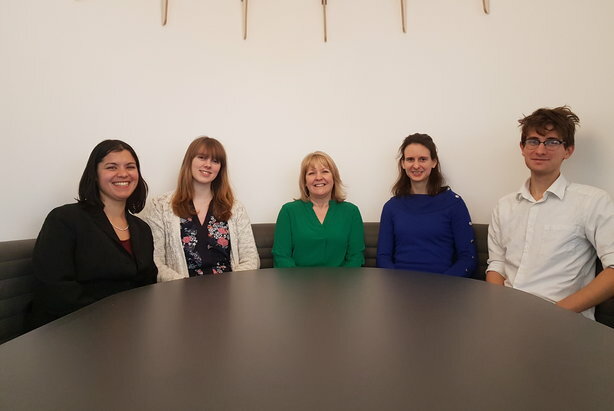 She is joined by two recent science graduates: Rachael Young, as inbound account executive, and Sam Willstead, a PR account executive, from the University of Cambridge and University of Southampton respectively. Two more hirings – Mira Nair, previously global marketing manager for PA Consulting Group, who joins as Inbound account director, and Sheridan Cook, office manager – have also joined the agency. All will be based at its UK headquarters in Cambridge. Inbound marketing is a technique for drawing customers to products and services via content marketing, social-media marketing, search engine optimisation and branding. Commenting on the appointments, Paul Avery, co-founder of BioStrata, said they would help the agency build on its ability to deliver high-value programmes to raise awareness and create demand for its clients. Fellow co-founder Clare Russell added: "Our new team members share our enthusiasm for connecting life-science companies with customers, to aid the adoption of cutting-edge technologies and services that can drive scientific discovery and impact the world around us." California Governor's healthcare proposal is the long awaited "big one"